At least 15 people were killed and another seven wounded in a shooting at a nightclub early on Saturday in Mexico's violence-wracked Guanajuato state, according to the local prosecutor's office. It was not immediately clear who committed the crime. Before sunrise, a group of armed men pulled up in three vans at the La Playa Men's Club in the city of Salamanca, burst into the premises and opened fire, local media reported. 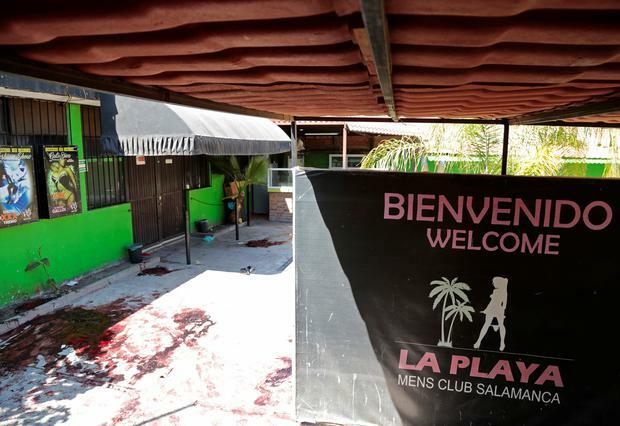 According to a statement from the Guanajuato state prosecutor's office, 13 men were found dead in the nightclub, and another two died after being taken to hospital. It added that its agents were investigating the crime. Salamanca lies in Guanajuato state, part of the country's industrial heartland that was a magnet for carmakers such as Volkswagen AG, General Motors Co and Toyota Motor Corp, but it suffered a doubling of murders last year, making it one of Mexico's most violent regions, official data shows. More than a decade after the launch of a militarized effort against drug cartels that has led to some of Mexico's bloodiest years on record, the latest effort will test the new government's ability to curtail the reach of organized crime.